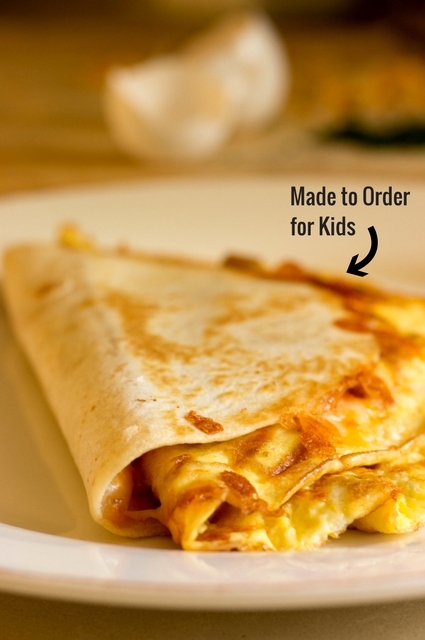 The Cook-a-Palooza Experience: Cheese Omelet Quesadillas: "Made-to-Order" to Suit Your Family's Tastes! 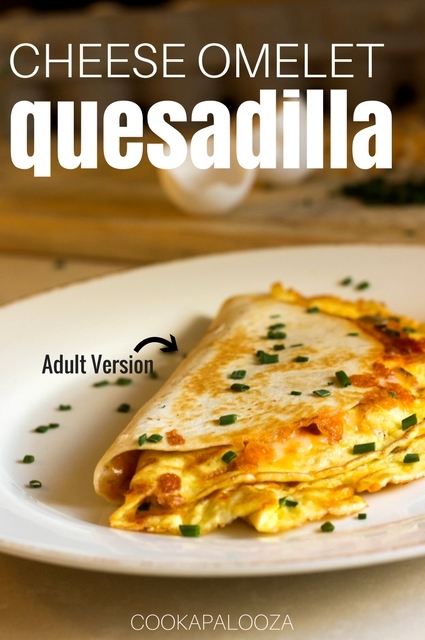 Cheese Omelet Quesadillas: "Made-to-Order" to Suit Your Family's Tastes! Fast, versatile, and delicious breakfast for dinner option! Last Friday, I gained a 1/4 cup of "cooking for kids" know-how when I prepared these Omelet Quesadillas for dinner. My daughter loved how the quesadillas tasted, but my son wasn't as gung-ho about eating them. "I'll eat it, but it's not my favorite" was his response after tasting the quesadilla on his plate. In the past, I would have gotten frustrated knowing that he like eggs, cheese, and flour tortillas. HOW COULD HE NOT LIKE THIS?! It's made with the same ingredients! I calmly asked him what he did not like about the omelet quesadilla on his plate, as if I were a chef casually asking a customer for their feedback. At first, he couldn’t explain why it wasn't his favorite. But it didn't take long before we pinpointed that it was the salsa (and a chunky green thing) causing the trouble. I explained the funny looking green thing was from the salsa. We agreed his next omelet quesadilla would be made-to-order...without salsa. I omitted the salsa for his quesadilla, and added a sprinkle of chopped chives to mine! 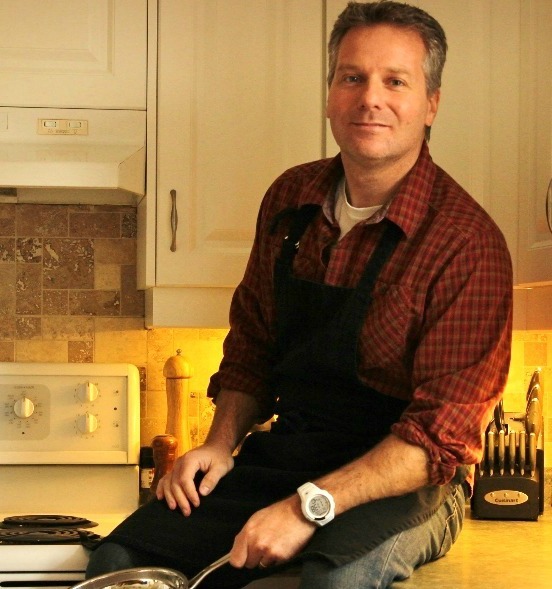 The experience taught me that sometimes all it takes is a minor adjustment to keep everyone in the family happy when making dinner! Each week, I keep subscribers happy by updating them about healthy recipes I've tested, and love, along with proven ways to make the prep part more manageable. 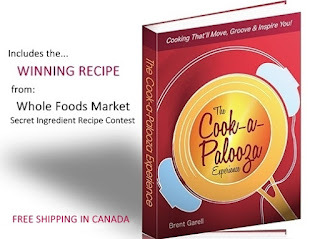 It's free to join, and when you subscribe you get to sample a recipe pick of the month, every month, from my cookbook! Click Here To Check Out This Month's Recipe! 1. In a medium bowl, whisk eggs. Add green onions (if using), salt, pepper, water and half the cheese. Whisk to combine. 2. In a non-stick skillet, melt butter over medium heat. Add egg mixture and evenly spread out in the skillet so it looks like a large pancake. Cook until eggs begin to set and bubble on top, about 2 minutes. Carefully flip omelet to cook other side of omelet. Turn heat to low and spread a thin layer of salsa over cooked side of omelet as the other side continues to cook in the skillet. Evenly sprinkle remaining cheese over the cooked side and lay a flour tortilla on top. 3. Carefully flip omelet (with tortilla) so the tortilla is laying flat on the skillet. 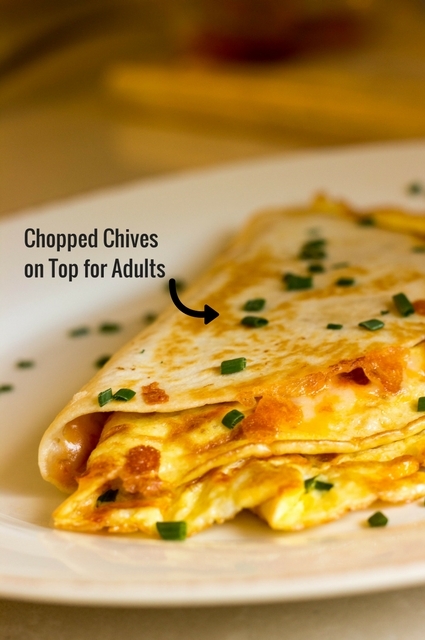 Fold omelet and tortilla into a half-moon shape. Cook for 30 seconds to slightly toast outside of tortilla. Flip again to slightly toast the other side. Serve! Hi I'm Brent! 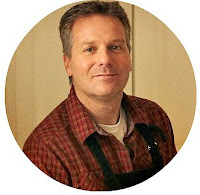 The recipes you will find on this blog, my vlog, and in my weekly updates, are easy-to-make dinners my family and I enjoy. You'll also find a few top picks from my cookbook, along with a 1/4-cup of know-how to make cooking less stressful on yourself.